Sample Pack. Approx 17 bags in different sizes of cellophane. Sample Pack of Cellophane products from My Girlfriend''s House. 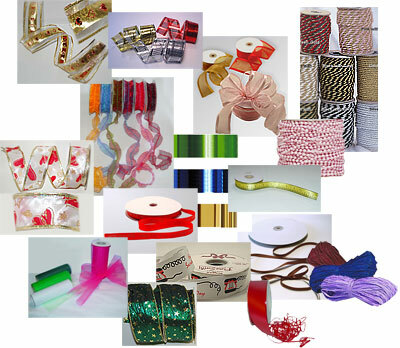 You will receive 1 of almost every size cellophane gusseted and self-sealing bag we carry, as well as a Doorknob Delivery Go Bag, Printed Zip Lock & Door hanger bag. Total samples = approx 17 bags. No shipping will be charged for this item when ordered by itself. $5 total per complete pack. Please note: When you add this to your cart it will appear that it is charging you shipping but once you click the button to proceed to checkout, you will see that the shipping is removed on that next step. * WHEN ORDERED BY ITSELF. This item may take 7-10 days to leave our warehouse. ** Free shipping on this item does not apply to international orders. The=is is a great pack. Gave me lots of variety and colors. Love these bags and all the cute designs! I haven't had them but for a couple days but everyone I've given one to has loved them and raved about how cute they are. I absolutely love and recommend these bags to everyone. Also, their customer service is amazing! I wish all companies were as "satisfaction guaranteed" as this company!! Love all of their products! ! Every time I receive the Sample Pack, I end up ordering from them! Is so addicting and it just gives me great ideas on what to do with them. Thank you so much ladys! I really appreciate it and will defiantly place a order soon! If you are unsure of what size bag to purchase or intimidated by all the designs; GRAB a grab bag. This is a great value and I was able to get hands on and determine what products will work for my business. I love these bags, I receive so many compliments from my customers when I deliver product! I love the sample pack. I would have given it 5 stars but I didn't know what size the bags were because they weren't labled but other than that the Quality , quantity and shipping were on point. I have received the sample pack and just love it. I have already used the smallest bags for warm chatting. I put my biz card, chocolate candy kiss, lipstick and sample and $5 off facial and works out really well! My Girlfriends House is very handy to have for my personal business needs. This is a great first purchase from you guys!!! 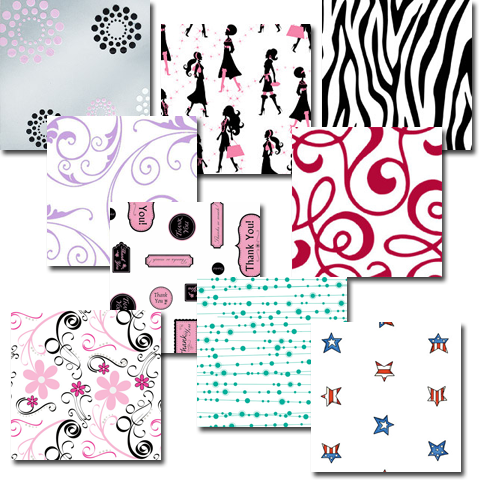 You get to see a good variety of the designs and you can decide which sizes you will need more of! Thanks! Love the variety of sizes. Would love to know what each bag sizes were to be able to reorder them. I'm taking a guess on my order I just placed. (200ct). I can't wait to get my sampler pack! One must have lots of options when it comes to wrapping up our Happy's for our Lady's in Mary Kay!!! This is great to have for all the different Direct Sales Companies & not certain ones. I have already ordered & love the items recieved . I love this site!!! So cute I have problems choosing designs! These comes with my package each time i place an order, they are very handy and beautiful. You can never go wrong with them.It ranges from the smallest to the largest size. I LOVE USING THEM ALOT! I got my sample pack last week and I love it!! There''s a bag for everything in there and they are so cute! They come in handy for all kinds of activities! This is my new favorite site for all my Passion Party needs!! I already have a huge wishlist built up and just made my second purchase yesterday. Im so ready to get my order and play with my new goodies! I got the Diva Gift Cerificates and the Cello Sample pack, I''ll let you guys know how much I''m in love with them when I get them! ;) I''ve signed up for the Networking Affiliate Program too so that I can share this amazing site with all my friends and make some MGH dollars in the process! I''m a consultant with Passion Parties and have been looking for MONTHS to find a good place to get cute, quality and good priced gift bags/goodie bags, etc for samples and to use for goodie bags at my parties. I finally saw another consultant advertise bags she had gotten from this site on YouTube and I came to check it out. I''m soooo glad I did! I am still awaiting my pack but I can already tell this will be my new favorite website! Shut up and take my money :) I''ll be back!! I am new to this website and wasn''t sure about what I want, need or like. This sample pack gave me a great idea of what I need and will be getting from now on! I love ''em! I recommend them! I love to give these to bags to my Unit members for surprises and gifts!!! Also, it gives a professional presentation of your products as a CEO!!! !